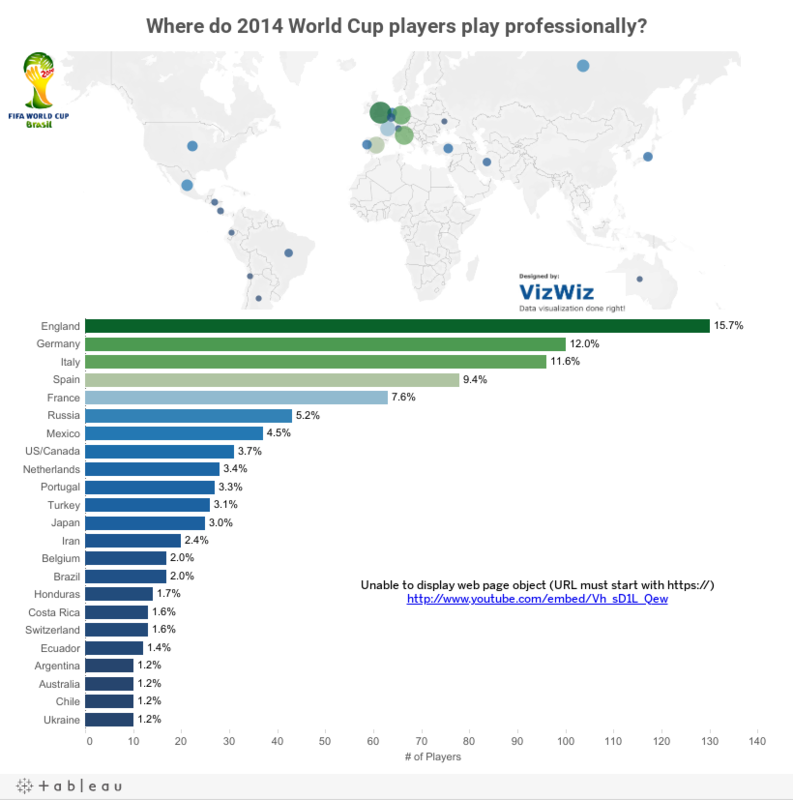 Makeover Monday: Where do World Cup players play professionally? Unless you live under a rock, you know the World Cup started last week. 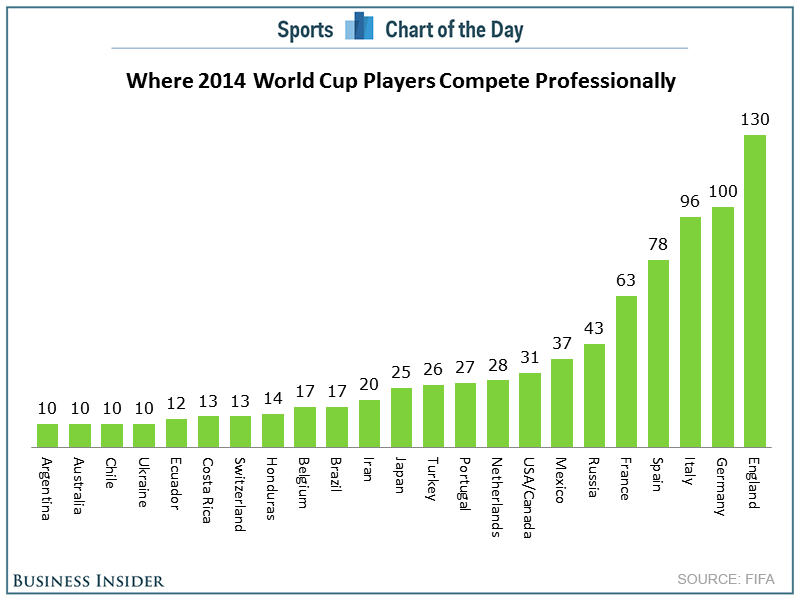 In this spirit, Chart of the Day published this chart showing where the players play professionally. This chart seems simple enough, yet they make it too hard on the reader. In about 10 minutes this morning, I built this viz with Tableau for Mac to address these concerns. Go USA! I believe that we can win! 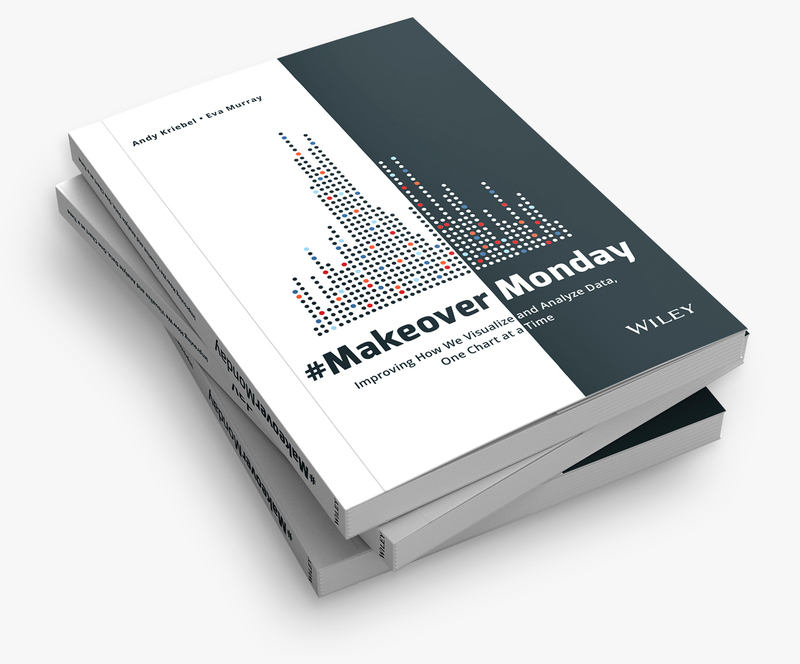 Please explain why you think "a horizontal bar chart would be easier to read" and "the sorting is backwards". Without at least a little explanation of the reasoning/learning behind these statements they appear to be no more than personal preference. A horizontal bar chart is easier to read because we read text from left to right. 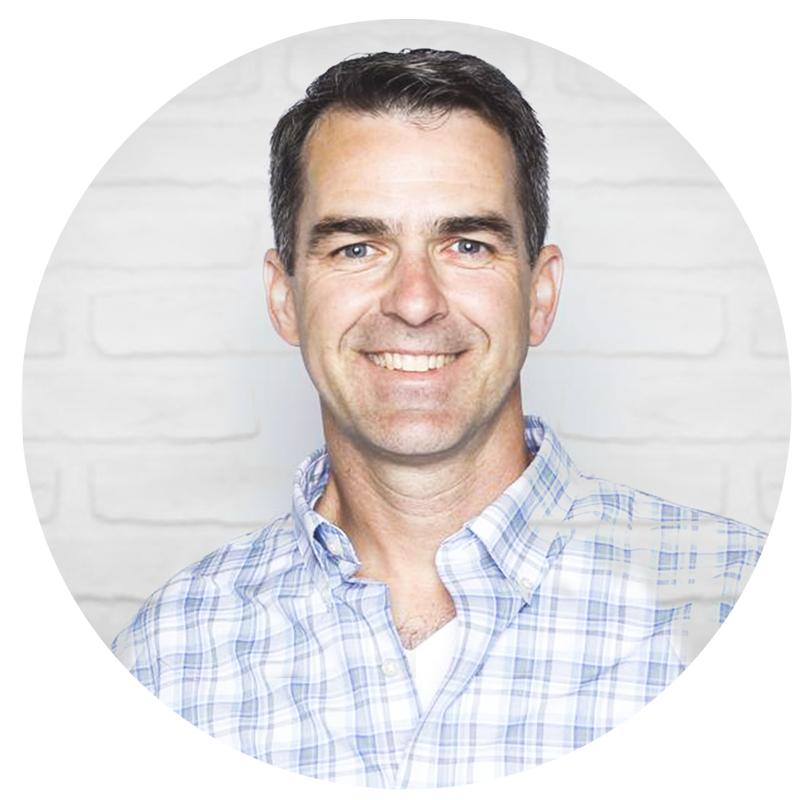 The Business Insider version requires you to tilt your head sideways. As for the sorting, the intent of their chart was to show which countries have the MOST players, thus the countries should be sorted in descending order to emphasize that. Thanks for the additional insight. Now it makes much more sense.